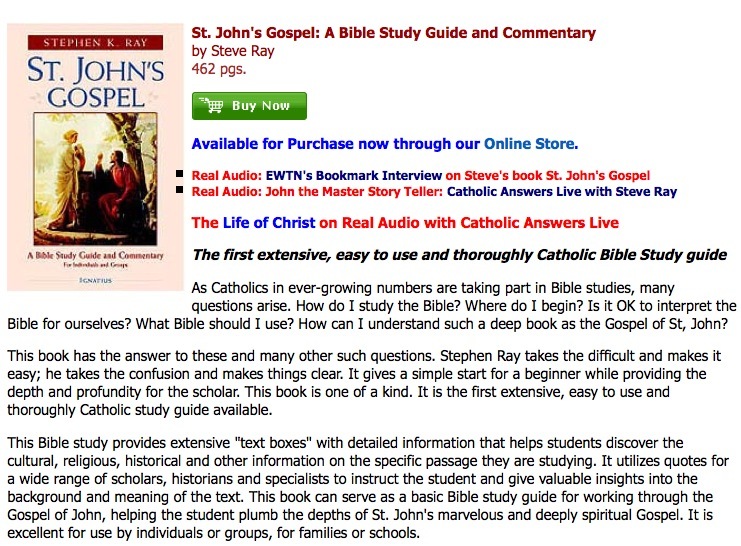 I will be joining Marcus Grodi on his EWTN Radio Show “Deep in Scripture” from 9:00-10:00 PM Eastern time Wednesday (today). You can listen — even watch the show on-line here now or at a later time! We will be dissecting John 3:3-5; 14-16 and 36. They have to do with salvation, being born again, believing and obeying the gospel. I will argue with my former days as a Baptist, and explain why these biblical passages mean so much to me. You can listen on-line at http://www.ewtn.com. Pastor Bob Preaches the Word!